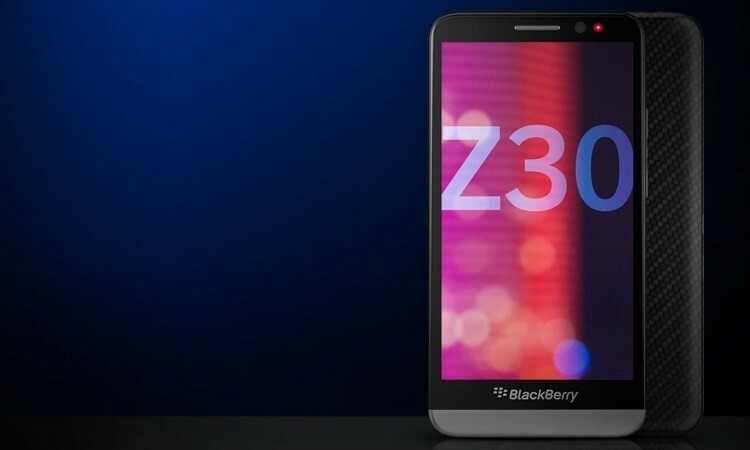 BlackBerry head of software portfolio Vivek Bhardwaj recently revealed that the BlackBerry Z30 smartphone is finally set to arrive on US soil next month. Interestingly enough, it’ll do so as an “exclusive” on Verizon’s network. Wait, an exclusive from BlackBerry at a time when their future is as shaky as ever? What gives? It sounds like the use of “exclusive” in this instance is less about securing an exclusive distribution deal with Verizon and more about Big Red being the only carrier interested in bringing the phone to their network. Either way, the phone will be available with Verizon sometime in November priced at $200 with a two-year service agreement. At that price, you’re getting a smartphone with a 5-inch Super AMOLED display operating at 1,280 x 720 (295 PPI) that’s powered by a Qualcomm Snapdragon S4 Pro SoC alongside 2GB of RAM. Other specs include 16GB of internal flash storage, an 8-megapixel, f/2.2 camera on the rear, a 2-megapixel front shooter, 4G LTE connectivity, Bluetooth 4.0, NFC, dual-band Wi-Fi 802.11 a/b/g/n and a 2880mAh battery.